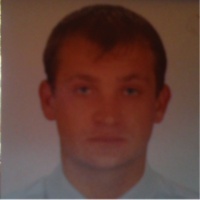 My name is Sergiy Balabanov and I have been a Bosun for 4 years onboard Bulk carriers and Reefer-Container-RO-RO vessels. In the past I have worked with a variety of crews from different nationalities and I respect all crew the same. I have been fortunate to have a wide range of experiences while onboard. I have a mind-set for excellence when it comes to deck work to make sure my crew is safe and achieve high standards while working. I’ve had vast amount of hours operating cranes, deck machinery and welding. I would say that I am hard working, professional and calm headed in unforeseen situations. In reflection, all of those experiences have strengthened my personality and character as a Bosun.